I began singing when I was six years old in the choir at Saint Anne’s church in Lucca, where I was born. I started singing opera when I was twenty-one. I began singing because as soon as I discovered my voice it immediately became a need and an overwhelming desire. I knew from the beginning that this would be my life’s path. When I was a child I didn’t listen to opera, that began when I was about eighteen, though I didn’t know at that point that I was destined to become an opera singer. I think that the first singer to inspire me was Ettore Bastianini. It’s a difficult question to answer, admiration of the artist or admiration of the person? Too often the man and the artist, even though they’re inhabiting the same body, aren’t worthy to the same degree. However, I would do an injustice to someone or other if I said just one name, so I prefer not to. It would be different if we’re talking about an artist who inspires me, or one who’s voice or interpretation I love. There are some artists who when I’ve known them closely I admire both as a person and as an artist. But also here, I’d rather not name names! Figaro in The Barber of Seville. I never tire of watching, and listening to, Mozart’s The Magic Flute as long as it’s well performed with the right spirit. Al Pacino and Claudia Cardinale. Dumas’ The Count of Monte Cristo. There are many films that I love, and love to see over and over again, sometimes too many times. But one of the very best is Luchino Visconti’s Il Gattopardo [The Leopard], with fantastic acting, characters, story, setting, script and music. Definitely New York where more than anything else I feel free and safe, I don’t know why but immediately I felt at home there. The city I love the most though is, without doubt, Lucca, where I was born. My sense of humour and my amiability, something I’ve always had. I don’t know how to answer… I’ve thought and rethought on this one to find an insightful answer because I don’t want to respond with something trivial. Maybe I should just say that the list is quite long… but I’m striving to shorten it and to improve. Without doubt it was the first time that I saw my name on a poster at La Scala, which I can now admit that I’d dreamed of from the moment of my first singing lesson. Who would have thought that it would have already come about by 2005? I still feel proud, even today, when I step onto the Milanese stage, even for a rehearsal. When I was with my parents and we celebrated my Salzburg début in 2012 after a performance as Marcello in La bohéme. It wasn’t just the happiness of the event but having by my side the two people who have always helped me to realise the dream of having this career. I think that the love of my life is 50-50 between my parents and my voice. I will also add the love for a future child and the woman who will give him to me. Fear can lead you to make wrong choices… lead you towards evil. Evil is inherent in fear itself. But I think that fear can help us and make us live with greater awareness. I would like to be more patient, and to be able to wait and calm my rather frenetic nature. For certain things I believe that to be patient is the right approach, for example, in my career. But many times in my life I rush decisions or opinions when it would be better to reflect more before deciding, or before opening my mouth to express an opinion, or even before speaking. Calmness makes people more stable and better. To overcome my shyness that I’ve always had since I was small. Nowadays, I feel more open to the world and readier to express my opinions with others now that I’m not so young, but sometimes I still close up like a clam, especially if I feel that I’m being attacked. My origins and my family. We are, and always will be, tied to where we’re from, and that background helps us to remember who we are. To iron underpants and socks… I couldn’t possibly renounce that! If you’re talking about ‘overrated’ as in not realising that a virtue is much more important than it seems, then I’d say ‘wisdom’ as in caution as Plato says… in other word, the control of impulse. If, however, we’re talking about a virtue that is overrated because we place too much value on it, I’d say ‘justice’ because, again from Plato, every ‘justice’ doesn’t always result in ‘justice’. I’d prefer not to answer this one to avoid telling a lie!!! If I hadn’t become an opera singer then I would have liked a normal life, with a normal job where you come home at 6pm, in a normal Italian city, maybe Lucca, doing normal things with a group of friends. I would have liked to see the world, not with holidays in exotic locations, but journeys to discover the real world. To see with my own eyes and get a true idea of the world. Making sacrifices to reach a goal. From a colleague I also want sincerity. I don’t like working with colleagues who are not sincere, and I also like colleagues who respect both me and the others who work with us on stage: it’s easy to forget that we’re not the only ones in the theatre. There are at least three-hundred people who work with us every evening… respect means remembering that we’re not the only people working. Without doubt, my mother. First, because she has a soul and sensibility that truly mark her out and are noticeable to all those who know and meet her. But also because she’s always consistent with her morals and her spiritual view of life. I would admire her even if she weren’t my mother, looking at her with neutral eyes without the filial bond. The waiting between the dress-rehearsal and the opening night, and usually I can’t stand the periods between one performance and the next. Sometimes they are interminable. I’d love to learn languages easily, whereas for me it’s hard work. I know people who speak nine languages well. It’s a God-given gift. I don’t think that there’s a recipe for perfect happiness. I do think that balance brings about a happiness that can be almost perfect. A balance in energies can bring about happiness. But balance is difficult to achieve, especially in ourselves. I certainly know how I wouldn’t want to die: I don’t want to die after a long period of suffering… in pain. I hope that I’ll die leaving behind fond memories and not only with those who love me. Quando hai iniz­i­ato a can­tare? Ho iniziato a cantare a 6 anni, nel coro della chiesa di S. Anna a Lucca dove sono nato, poi ho iniziato a studiare lirica all’età di 21 anni. Per­ché hai iniz­i­ato a can­tare? Ho iniziato con la lirica perché una volta scoperta la mia voce questa era immediatamente diventata un bisogno e uno struggente desiderio. Avevo subito capito che sarebbe stata la strada della mia vita. Da piccolo non ho mai ascoltato lirica, ho iniziato intorno ai 18 anni, ma non sapevo ancora di essere destinato a essere io stesso un cantante lirico, penso che la mia prima ispirazione sia venuta da Ettore Bastianini. Quale can­t­ante ammiri di più? È una risposta difficile, ammirazione per l’artista o ammirazione per l’essere umano, troppo spesso l’essere umano e l’artista pur vivendo nello stesso corpo non sono ammirevoli allo stesso modo. Comunque io farei un torto a qualcuno o a qualcun altro se dovessi esprimere un solo nome qui. Allora preferisco non farne. Sarebbe diverso se si parlasse di un artista al quale mi ispiro o un artista del quale amo la voce o l’interpretazione. Ci sono comunque alcuni artisti che una volta conosciuti nel profondo della loro vita stimo sia come uomini che come artisti. Ma anche in questo caso preferisco non fare nomi. Figaro in Il barbiere di Siviglia. Quale ruolo non hai mai inter­pretato ma vor­resti o avresti voluto can­tare? Non mi stancherei mai di guardare e ascoltare il Flauto Magico di Mozart a patto che sia ben eseguito e con un pizzico di buon spirito. Al Pacino e Claudia Cardinale. Io ho molti film che amo e che adoro rivedere anche troppe volte. Ma direi uno dei migliori in assoluto rimane Il Gattopardo di Luchino Visconti, fantastico sia per interpretazioni, personaggi, storia, ambientazioni, sceneggiatura e musiche. La mia città favorita è sicuramente New York, mi sento oltre ogni modo libero e sicuro li, non so perché ma veramente dal primo momento mi sono sentito a casa. la mia città più amata rimane senza dubbio Lucca dove sono nato. Cosa ti piace di più di te stesso? Il mio senso dell’umorismo, e il mio stare in compagnia. L’ho sempre avuto. Cosa non ti piace di te stesso? Alla fine non riesco a rispondere, ci penso e ci ripenso ma non penso di poter dare una risposta troppo profonda e non voglio dire una stupidaggine su questo argomento. Forse dovrei dire che la lista è un po’ lunga… ma sto lavorando per ridurla e per migliorare. Sicuramente la prima volta che ho visto il mio nome in cartellone al Teatro alla Scala, posso dire adesso che pur avendo sognato fin dalla mia prima lezione di cantare un giorno alla Scala non avrei mai pensato di farlo già dal 2005. L’orgoglio di questo successo è ancora vivissimo in me oggi e lo sento anche ogni volta che salgo anche solo per una prova sul palcoscenico Milanese. 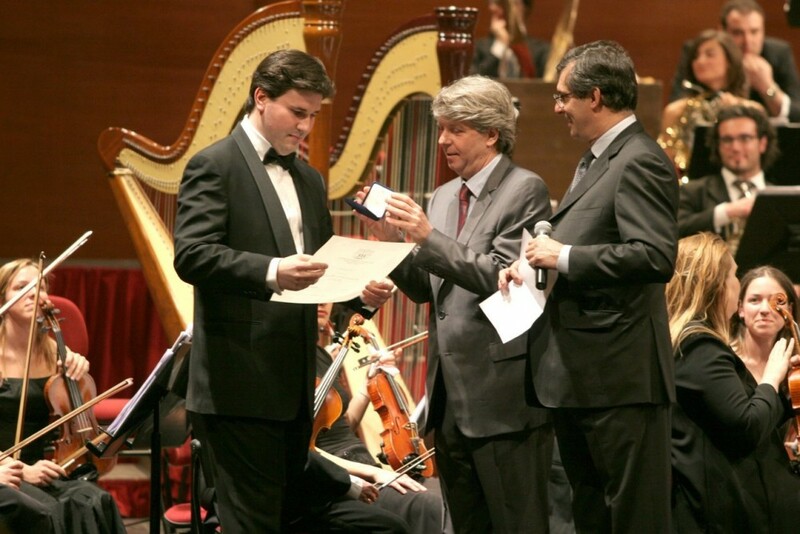 Quando con i miei genitori ho festeggiato il mio debutto a Salisburgo nel 2012 dopo la recita di Marcello nella Bohème. Non solo la felicità del momento ma anche di avere al mio fianco le due persone che mi hanno sempre aiutato a realizzare il sogno della mia carriera. Penso che l’amore della mia vita rimarranno al pari-merito i miei genitori e la mia voce, a questi si aggiungerà l’amore per un figlio e per la donna che me lo darà. La paura porta a prendere scelte molto sbagliate, porta al male. Il male è una cosa insita nella paura stessa. Io penso che la paura può aiutare e può farci vivere con più consapevolezza. Vorrei sapere essere più paziente, riuscire a saper aspettare calmando la mia natura piuttosto frenetica. In certe cose mi sono convinto che aspettare sia la scelta giusta come per esempio nella mia carriera. Ma a volte nella mia vita affretto troppo decisioni o punti di vista, quando invece sarebbe molto meglio ponderare prima di scegliere o anche di aprire bocca per esprimere giudizi o anche solo per parlare. La calma ci rende persone molto più stabili e migliori. Vincere la mia natura introversa che ho sempre avuto fin da piccolo. Oggi mi sento una persona molto più aperta al mondo e anche più pronta a mettermi a confronto con gli altri di quanto non fossi in età giovanile, ma ancora per certi aspetti mi chiudo a riccio specie se in certi casi mi sento attaccato. Le mie origini e la mia famiglia. Noi siamo e saremo sempre le nostri origini, le origini ci aiutano a ricordare chi siamo. Qual è la tua abitud­ine più stra­vag­ante? Se si parla di sopravvalutare cioè di non rendersi conto di una virtù che è molto più importante di quello che sembra, direi la saggezza in termini di prudenza come dice Platone ovvero come controllo delle pulsioni. Se invece si parla di sopravvalutazione perché si pensa che sia troppo rispetto alla vera essenza di quella virtù io direi Giustizia, sempre per la stessa visione Platoniana, oggi “giustizia” non significa sempre “giustizia”. Preferisco non rispondere per evitare di dire una bugia!!! Se non fossi stato una can­t­ante cosa ti sarebbe piaciuto fare? Se non fossi stato un cantante lirico, io avrei voluto una vita normale, con un lavoro normale di quelli che alla sera ti riportano a casa alle 18, in una città normale italiana magari a Lucca, facendo cose normali e con un gruppo di amici. Non avrei rinunciato a vedere il mondo, non con vacanze in posti esotici ma con veri viaggi alla scoperta del mondo quello vero. Vedere con i miei occhi e farmi la mia idea sul mondo. L’abnegazione volta al raggiungimento di un obbiettivo. Da un collega esigo anche sincerità, non amo molto lavorare con colleghi che non sono sinceri, ma anche vorrei colleghi che rispettino me e le altre persone che lavorano con noi sul palco, troppo spesso ci dimentichiamo di non essere soli sul palcoscenico! Ci sono almeno altre 300 persone che lavorano con noi ogni sera… rispetto vuol dire lavorare pensando di non essere soli. Posso dire senza dubbio mia madre, per prima cosa perché ha un’anima e una sensibilità che veramente la contraddistinguono e che sono visibilissime a tutte le persone che la conoscono e che la incontrano. Ma anche perché è sempre coerente alla sua morale e al suo senso spirituale di vedere la vita. l’ammirerei anche non fosse mia madre guardandola con occhi esterni al mio legame filiale per lei. L’attesa che passa tra la prova generale e la prima, in generale non sopporto le attese anche tra le recite. A volte sono veramente giorni interminabili. Vorrei avere facilità nell’imparare le lingue, invece faccio molta fatica. Conosco persone che parlano correttamente 9 lingue! Mi pare un vero dono Divino. Non credo esista la combinazione per la felicità perfetta. Penso invece che l’equilibrio interno dell’individuo crea una felicità quasi perfetta. L’equilibrio delle energie ci rende felici. Ma l’equilibrio è una cosa difficile da trovare specie con se stessi. Sicuramente so come non vorrei morire, non voglio morire dopo una lunga agonia, con dolore. Spero di poter morire lasciando di me un buon ricordo nella memoria non solo delle persone che mi amano. Massimo Cavalletti was born in Lucca, where he began his vocal studies with Graziano Polidori before attending the Academy of La Scala in Milan, refining his vocal technique with Luciana Serra. 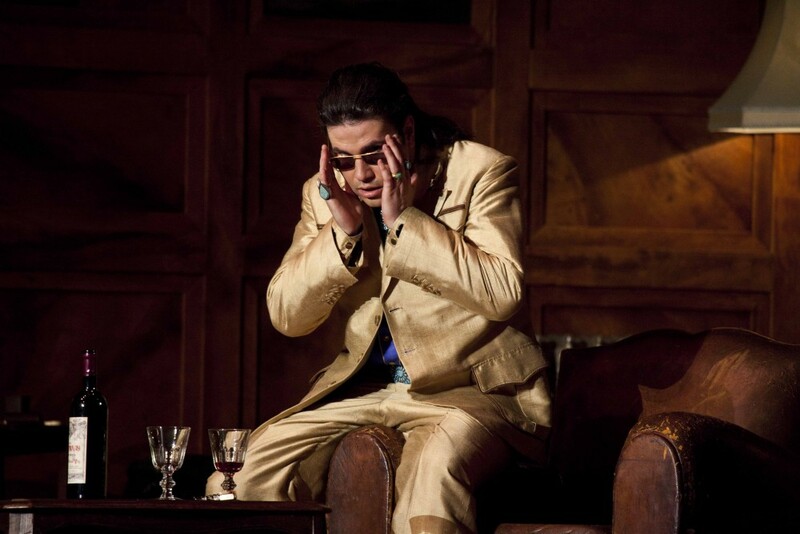 In October 2004 he made his operatic debut at the Teatro Donizetti in Bergamo in La Parisina. 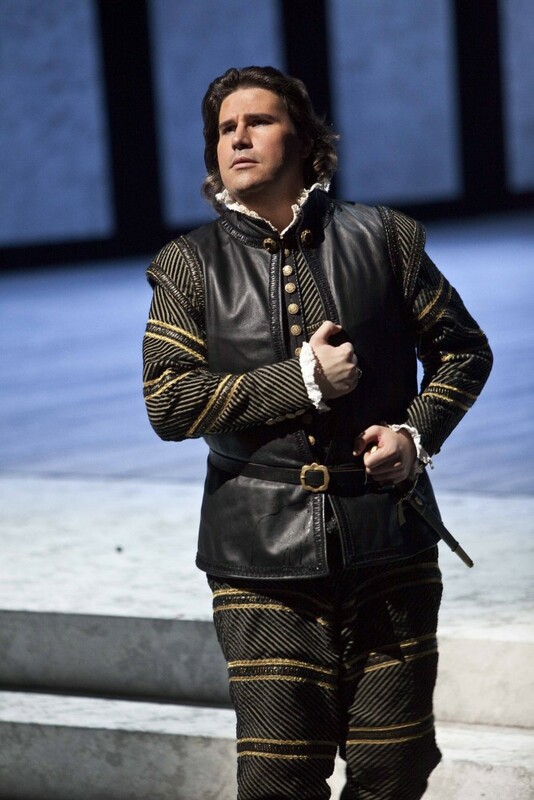 He subsequently began a long-term collaboration with the Teatro alla Scala, Milan, that saw him performing a variety of roles such as Figaro (The Barber of Seville), Schaunard and Marcello (La Bohème), Enrico (Lucia di Lammermoor), Paolo (Simon Boccanegra), Ford (Falstaff) and Rodrigo (Don Carlo). 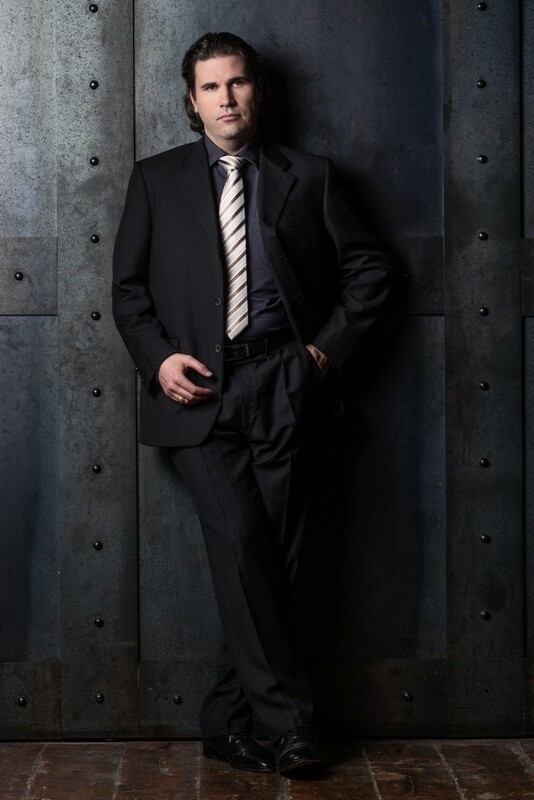 He has performed regularly at the Zurich Opera since 2007 and has been featured in productions of La Bohème, La Juive, Le Cid, Lucia di Lammermoor, Carmen, Simon Boccanegra, Il barbiere di Siviglia, Falstaff, L’elisir d’amore, Poliuto, Le convenienze ed inconvenienze teatrali, as well as Don Carlo. Other important past engagements include Marcello (La bohème) at the Royal Opera House Covent Garden; Schaunard, Marcello, and Escamillo (Carmen) at the Metropolitan Opera; Escamillo at the Vienna State Opera; Marcello and Ford (Falstaff) at the Salzburg Festival; Ford and Marcello at the Dutch National Opera; Enrico (Lucia di Lammermoor) in Tokyo, Dresden, and Hamburg; Belcore (L’elisir d’amore) at the Glyndebourne Festival and in Beijing; Lescaut (Manon Lescaut) at the Deutsche Oper Berlin; Paolo Albiani (Simon Boccanegra) at the Staatsoper Berlin; Marcello in Brussels; and Figaro (Il barbiere di Siviglia) in Hamburg. Engagements in 2015 include debuts as Riccardo in I puritani at the Florence Opera House and as Renato in Un ballo in maschera in Tel Aviv, as well as company debuts with the Liceu of Barcelona as Escamillo, the Royal Opera House Muscat as Malatesta in Don Pasquale, and the Swedish Radio Symphony Orchestra, his return to Zurich as Belcore and to Tokyo as Ford; Escamillo, Figaro (Il barbiere di Siviglia), Marcello, and Ford at La Scala. In 2016 the baritone will return to the Metropolitan Opera New York as Lescaut in a new production of Manon Lescaut and to La Scala as Paolo Albiani in Simon Boccanegra. 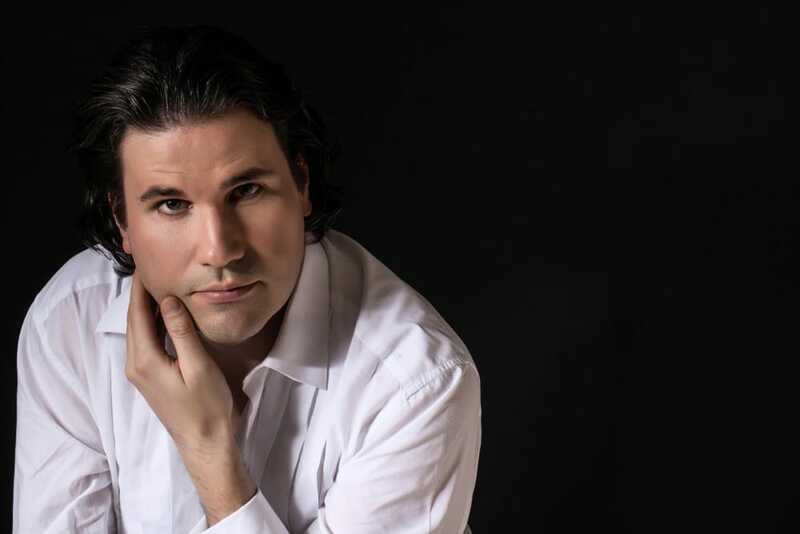 He will make his house debut at the Teatro de la Maestranza Sevilla as Belcore in L’elisir d’amore and will open Abu Dhabi’s new opera house as Figaro in Il barbiere di Siviglia. Massimo Cavalletti has worked with such conductors such as Daniel Barenboim, Zubin Mehta, Riccardo Chailly, Nello Santi, Fabio Luisi, Daniele Gatti and Daniel Harding. His DVD/Blu-Ray recordings include La bohème from Salzburg and Valencia, Falstaff from Zurich and the Salzburg Festival, and Simon Boccanegra from La Scala. Lucchese, inizia gli studi di canto nella città natale con Graziano Polidori, prima di diventare membro dell’Accademia di Perfezionamento del Teatro alla Scala di Milano, dove perfeziona la tecnica vocale con Luciana Serra. Con il debutto nel ottobre 2004 al Teatro Donizetti a Bergamo ne La parisina (allestimento dell’Accademia di Perfezionamento del Teatro alla Scala) inizia una collaborazione col Teatro alla Scala che lo vede impegnato nelle parti di Figaro (Il barbiere di Siviglia), Schaunard e Marcello (La bohème), Enrico (Lucia di Lammermoor), Paolo Albiani (Simon Boccanegra), Ford (Falstaff) e Rodrigo (Don Carlo). Da 2007 canta con regolarità all’Opera di Zurigo in opere quali La bohème, La juive, Le Cid, Lucia di Lammermoor, Carmen, Simon Boccanegra, Il barbiere di Siviglia, Falstaff, L’elisir d’amore, Poliuto, Le convenienze ed inconvenienze teatrali e Don Carlo. Interpreta inoltre Marcello alla Royal Opera House Covent Garden; Schaunard, Marcello ed Escamillo (Carmen) alla Metropolitan Opera di New York; Escamillo alla Staatsoper di Vienna; Marcello e Ford (Falstaff) al Festival di Salisburgo; Ford e Marcello all'[Opera Nazionale Olandese]; Enrico a Tokyo, Dresden e Amburgo; Belcore (L’elisir d’amore) al Glyndebourne Festival e a Beijing; Lescaut (Manon Lescaut) alla Deutsche Oper Berlin; Paolo Albiani alla Staatsoper di Berlino; Marcello a Bruxelles e Figaro (Il barbiere di Siviglia) ad Amburgo. Tra gli impegni del 2015 spiccano i debutti nei ruoli di Riccardo ne I puritani all’Opera di Firenze e Renato ne Un ballo in maschera a Tel Aviv. Debutta inoltre al Gran Teatre del Liceu di Barcellona (Escamillo in Carmen), alla Royal Opera House di Muscat (Malatesta in Don Pasquale) e con l’Orchestra Sinfonica della Radio Svedese (Ford in Falstaff), torna all’Opera di Zurigo nei panni di Belcore, a Tokyo in quelli di Ford ed al Teatro alla Scala di Milano per interpretare Escamillo, Figaro (Il barbiere di Siviglia), Marcello e Ford. Nel 2016 sarà Lescaut nella nuova produzione di Manon Lescaut al Metropolitan Opera di New York e Paolo Albiani in Simon Boccanegra al Teatro alla Scala. Debutterà inoltre al Teatro de la Maestranza Sevilla nella parte di Belcore ne L’elisir d’amore e sarà Figaro ne Il barbiere di Siviglia per l’inaugurazione del teatro lirico di Abu Dhabi. Tra le collaborazioni musicali si notano quelle con direttori d’orchestra quali Daniel Barenboim, Zubin Mehta, Riccardo Chailly, Nello Santi, Fabio Luisi, Daniele Gatti e Daniel Harding. La discografia di Massimo Cavalletti comprende le edizioni DVD/Blu-Ray delle produzioni di La bohème di Salisburgo e Valencia, Falstaff di Zurigo e Salisburgo e Simon Boccanegra del Teatro alla Scala di Milano.